Just days after returning home from Beijing after attending the 19th CPC National Congress as a delegate, Du Liqun resumed to her nursing routine as usual. 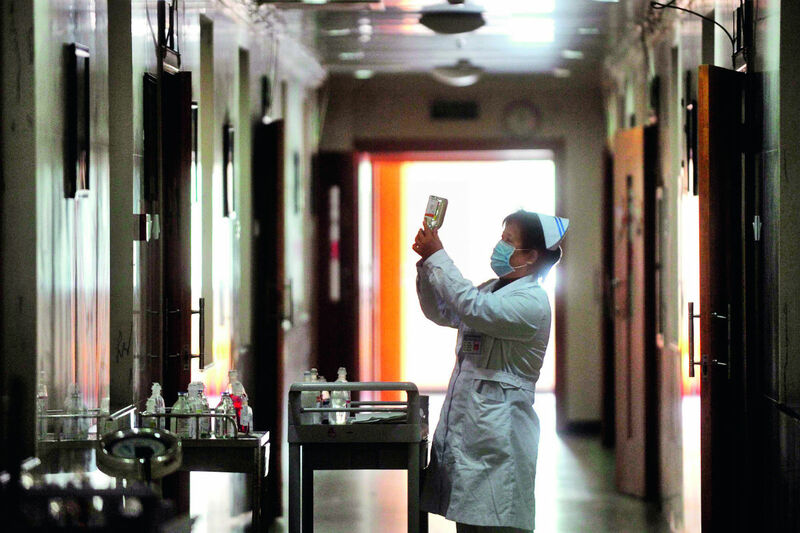 As head nurse of the AIDS Department at the Nanning Fourth People’s Hospital in the Guangxi Zhuang Autonomous Region, the 52-year-old was one of five Chinese nurses awarded the Florence Nightingale Medal in 2015 by the International Committee of the Red Cross. The first challenge arrived in August of that year when the department received an AIDS case complicated by severe skin disease. Without hesitation, Du donned a protective suit and cleaned the patient’s skin inch by inch, even though the condition had deteriorated so badly that the patient’s family had abandoned him. She remembers a morning in 2006 when an emergency call dragged her out of bed: A drug-addicted patient named Qiang was holding a young doctor hostage with a knife at her neck, threatening to infect her with AIDS. Du slowly and carefully approached the patient while talking to him casually, patiently listening to his needs and finally managing to calm his rage. Attracted by her professional skill and dedication, more and more young nurses like to work with Du, and her team has expanded from the original eight people to over 80. Hoping to draw more attention to AIDS prevention, for years Du has visited schools, communities and construction sites to personally educate people on how to protect themselves from the virus. Although she has been honored by myriad organizations, Du still considers herself just an ordinary person. “The most amazing thing in my life was meeting President Xi Jinping,” exclaimed Du proudly. In 2015, she attended a meeting with Xi as a representative of the Zhuang ethnic group.